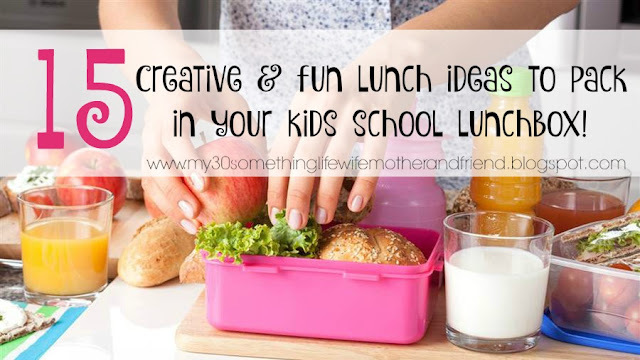 15 Creative & Fun Lunch Ideas to Pack in your Kids School Lunchbox! I don't know about you, but when those busy school mornings begin I have so much to do to get all my kids out the door and to the bus on time. Usually the last thing on my mind is making and packing school lunches. I found the funnest, and lets be honest super easy to pack, clean and store, lunch boxes and I can't wait to get my kids lunches ready this year! I think that this will make the"chore" of getting lunch ready for everyone so much easier. 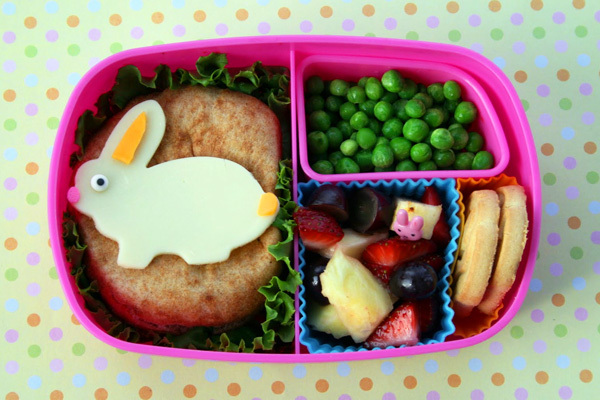 Have you heard of Easy Lunchboxes? I just stumbled across them while I was online and I feel like I just found the holy grail of lunchboxes! When you purchase these amazing lunchboxes you get them in a set of four and they come in many different color combinations. The best thing about these lunch boxes in that they are dishwasher safe! Woot Woot! That makes it so much easier to clean up afterwards. My kids can even do it. Oh and they are a great price, you get four for only $13.95. You can't beat that price. If you like the Easy Lunchbox and you would like to try them out for yourself then you can find them here. Don't these all look so yummy. I know that coming up with ideas for your lunchboxes can be hard so I found some for you! 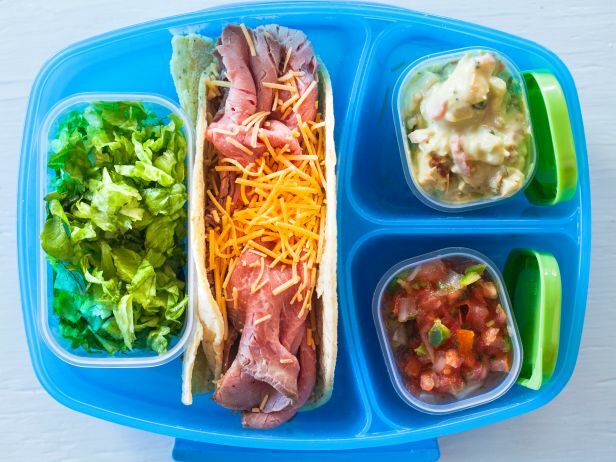 I hope that all of these lunch ideas help you out with your school day adventures and if you haven't tried the Easy Lunchbox yet you should give it a try. They are amazing! 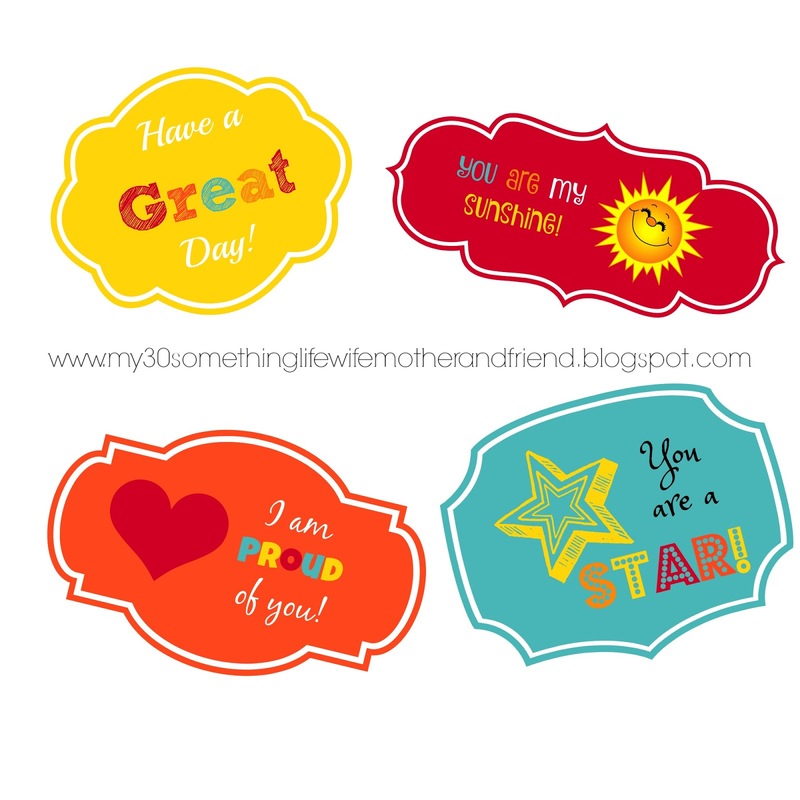 7 Loving Lunchbox Notes to Make Lunch Time Fun! Getting the kids ready to go back to school is never a fun task. All of the none stop summer fun has to come to an end sometime so that their cute little bodies can be ready for school to start. If your kids are anything like mine they have been staying up way to late for the past couple of months playing on their Xbox or running loose playing night games with all the neighbor kids. There has been a shortage of daily showers and absolutely no morning routine. With school quickly approaching I can tell that it is time to buckle down and start getting ready for school to start in a few short weeks. 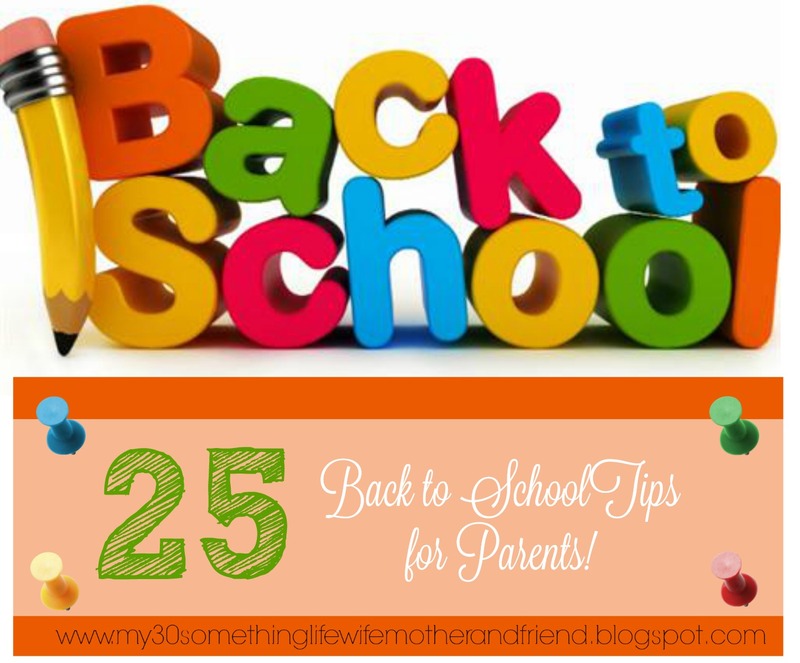 So to help I have compiled a list of 25 back to school tips for parents to help ease into the school routine once more. 1. Set your kids' sleep schedules back to 'School Time' two weeks before the first day. Holy cow this one makes the top of the list because its the hardest one and most important one to do. Kids, teenagers, and heck even us adults need enough sleep. My kids don't do well in the morning if they are sleepy and they wake up late because they didn't get enough sleep. Sleep is important! 2. Encourage your kids to read at least one book before the school year begins. Reading is so important for kids. It helps build their vocabulary and expand their imagination. There are so many good books that are kid friendly, and most elementary school libraries are open during the summer months so you can get started on reading now. 3. Set up weekly or bi-weekly meetings to review your kids' schedules for the week ahead. 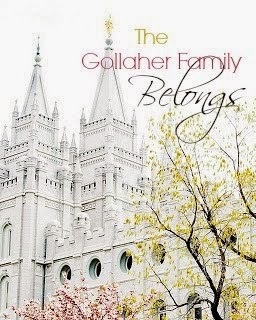 This is something that can be done Sunday night at dinner or even as a special family council. Go over everyone's schedule and make sure that nothing overlaps or creates a problem with rides. 4. Create a family calendar that tracks everyone's activities and commitments. After you finish your family council or even during your council you should try and have everyone's activities and commitments for the upcoming week all in one place to make it easier to keep schedules. 5. Refresh your rules about screen time for the school year. What's allowed and when? I have found that if my kids have an understanding about how much screen time they get and when they get it before school starts then when school starts things run much smoother. In our home screen time includes video games, devices, and the television. As a general rule in our home there is no screen time until jobs and homework are done. Then they have to share and if they can't do that then it gets turned off. In years past we have had to make screen time only on weekends minus cartoons, because there was way to many games being played. 6. Visit the school with your kids so they can get familiar with their new environments. We do this every year at back to school night. I know that my kids have been going to the same school for years, however going back each new school year can be scary and a little bit intimidating. Checking out the new classroom surroundings and meeting their new teacher can help ease those fears. Sometimes they can even see which friends are in their class also and that is an added bonus! 7. Get the lists of school supplies, books and technology your kids will need and inventory last year's school supplies before going out to buy more. Usually when we go to back to school night the kids teachers will have a list of needed supplies that they need to bring to school with them. You can save some money if you look over the list and see what you have at home before you run to the store and buy everything new. My older boys have been using the same backpacks for the last couple of years. 8. Include your kids in back-to-school shopping by letting them pick out their items. I think that kids are more prone to wear things that they help pick out. They will also take better care of something that they took pride in choosing. 9. Set (and enforce) regular weekday and weekend bedtimes. This one is so hard yet so important! Kids need enough sleep so they can function the next day. My kids are spaced out pretty far in age and my older boys get to stay up later then the younger ones. This doesn't seem fair to my younger kids because they think that they can handle being up later. We have many nights of arguing and whining because its not fair. Bedtimes are still a work in progress in our house. 10. Set (and enforce) regular weekday and weekend wake-up calls. Two of my five kids are morning people and one of the two isn't even in school yet. So you can guess that mornings in our house you can often hear, "are you up yet"? and "get up"! This happens a lot. Figuring out how to enforce this one is a hard one. I could do it like my husbands Grandma and stand at the top of the stair and bang pots and pans. 11. Have your kids set realistic goals for the new year, such as reading 30 books. It is a good idea to help your kids set goals that they can work on during the school year. This will help them to be able to set a goal and work towards it and then see the results as they achieve it. Start out with small goals and then progress to something bigger. As they become adults it will be vital that they can set a goal or work towards a deadline and accomplish the task on time. Practice makes perfect. 12. Create an after-school schedule that allows time for snack, relaxation, play and study. It is important that when your kids come home from school they have a schedule. Think about it. While they are at school they follow a schedule all day long. It keeps them focused and at task. Why then wouldn't you keep that up when they come home from school? Kids thrive on a schedule and they need one to stay on task and get things done. 13. Encourage your kids to lay out their school clothes the night before. This is a no brainer! School mornings are hectic and sometimes crazy. If there is anything that I can do the night before that will help with those early morning melt downs then I am all for it. One of the easiest things to do the night before that will help in the morning is to have your kids lay out their cloths the night before. This way they will have one less thing to do in the morning. They don't have to try and find something to wear or find those shoes because they knew exactly where they were the night before. Trust me this is a must for easier mornings. 14. Have your kids pack their school bags before they go to sleep that night. This goes along with choosing what to wear the night before. Have them put everything that they will need for school the next day in their backpacks and then put your backpack by the front door. That way they don't have to worry about it in the morning and it will be ready to grab as they walk out the door. 15. 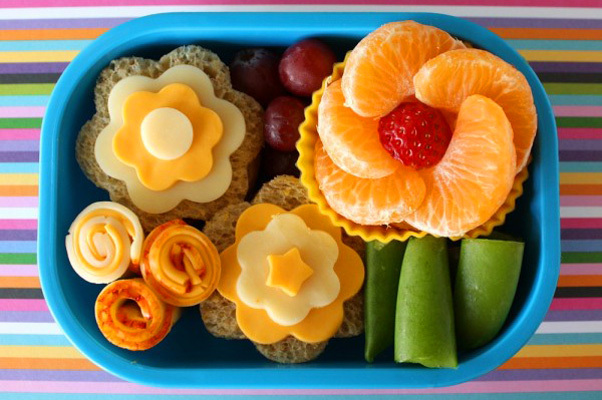 If your kids bring their own lunch, pack their lunch boxes before going to bed. Packing lunches in the morning can be hard. Get into the habit of packing their lunches the night before. You could even have the kids take turns packing everyone's lunch or you could make it a family affair. Either way getting it done the night before makes it so much easier! 16. Establish rules for where they should put lunchboxes, etc. when they come home. My kids don't take school lunch everyday and I hate it when I go to grab a lunchbox and open it to fine rotten food and garbage. It's gross and not to mention that it smells bad. Take a few minutes to show your kids what you expect of them when they get home from school. 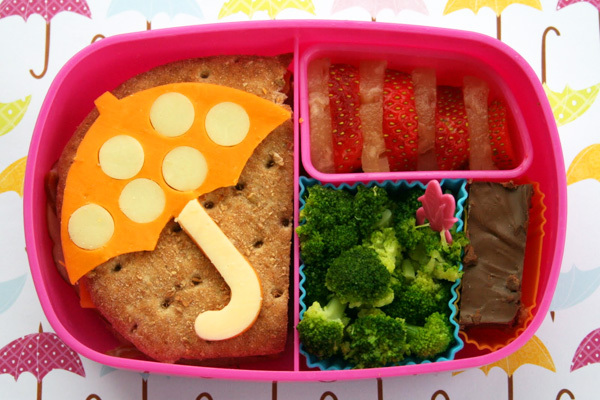 If they need to wash out their lunchbox and set it out to dry, then show them how to do it and where to let it dry. Show they where their backpacks belong along with coats and jackets. I know this is common sense, but they forget, or in my case they are lazy and need to be reminded. 17. Buy bulk packaged snacks like bags of grapes that can be easily added to lunches. It is easier to buy lunch food in bulk and then individually pack it into smaller bags and put them in a bin in your fridge. This will make making lunches much faster. 18. Organize lunch ingredients in one part of the fridge so you can make fast lunches. As a follow up to the last tip, if lunch snacks are all in one place in the fridge and pantry then making school lunches is much easier and faster. It is so much easier when you can just grab what you need already bagged and ready to go instead of having to wash it and put it in a bag. 19. Talk openly with your kids about their feelings about returning to school. Lets face it. Most kids are not excited to go back to school. By the time August come around my kids can sense that school is looming and they begin to moan about going back. If you just sit down with your kids and talk with them about returning to school you might be surprise at the reasons why they don't want to go back. They might be worried that they won't have any friends in their class or maybe they wont know their teacher. There could be many reasons why they don't want to go back. Just sit down with them and talk them through it to make the first day of school a success! 20. Discuss what your kids can expect on the first day so they feel more prepared. Talk to your kids about what to expect the first day of school. Walk them to the bus and if it is possible to visit the school before hand then take them to see their classroom and meet their teacher. Talk about lunch time and make sure they know how to buy school lunch if that is how they are eating lunch. 21. 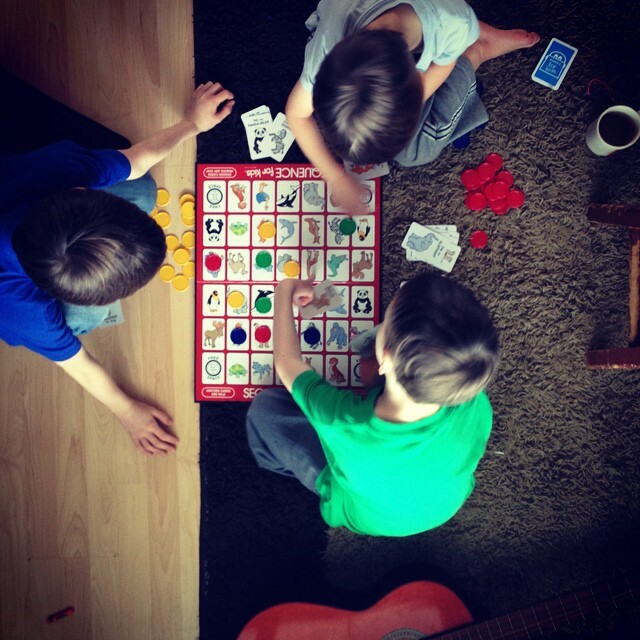 Create a list of fun after-school activities and games to keep your kids entertained. Make a list of all the after school activities that are okay for them to do. Make sure that they know when it is okay to do them. If they need to get homework or after school jobs done first then make sure they are aware of your expectations. 22. Go through your kids' schoolwork once a month to toss the things you don't want. Your kids will bring a lot of finished projects and papers home from school. While they are all cute and amazing, it can quickly over take your house if you don't organize it. Once a month you should go through all of their schoolwork and decide what you want to save and what you are going to throw away. This will make it easier to keep their backpacks clean. 23. Create an inbox for kids to leave things that need your attention, like permission slips. I can't tell you how many times I had to sigh a permission slip as my kids were running out the door for school. Life will be so much easier if you have one specific place for your kids to put important paperwork for you to fill out. 24. Keep a small emergency allowance in your kids' bags, just in case. Keeping a couple extra dollars i your kids backpacks is a good idea in case they run out of lunch money or forgot about a small fee for school. If they have a few extra dollars with them then that will make it easier on you and make it so you are not having to run to the school for unnecessary visits. 25. Plan one last family fun day before school starts. Summer break is almost over, and what better way to bid it farewell then one last family outing before school starts. Make it good and make some amazing memories! Go for a hike, or a drive in movie. What every you decide to do have fun. Family is everything! I hope these tips for going back to school help make the next school year the best. If you have any other school tips I would love to hear them in the comments below. I can't believe that summer break is almost over! With everything that I have to do to get ready for school to start in a few short weeks I feel like I am running out of time to get everything done. We are de-junking to prepare to be less cluttered when school starts, and going through what clothes can be donated to the thrift store. Then there is coming up with the new school schedule for the kids and new chore charts. Don't even get me started on school shopping. One of the things that I almost always never have time to do after school starts is make cute lunchbox notes that can go in my kids lunch when they go to school. It is something that I have every good intention of doing before school starts and then I end up getting to busy and forget. By the time I remember I have become so busy that I usually never get it done. These are just a couple of the cute lunchbox notes that I came up with. If you want to get all of the click here and you can get them all for free! Happy school days! I would love to see what ideas that you have for school lunches, and I would love to hear back from you as well. The other day a friend of mine told me to have fun with my kids. I said in reply – I don’t know if I know how to do that anymore. Just typing that brings tears to my eyes. 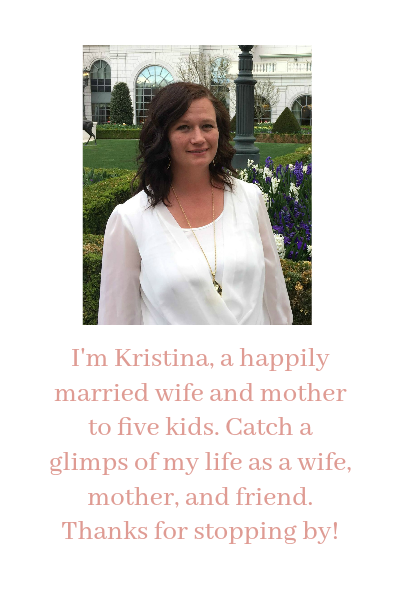 I know how to be the busy mom – moving from one urgent to another urgent to another there’s no toilet paper and the toilet’s overflowing and the kids are fighting and the smoke detector is going off and I can’t find my math sheet that was due three days ago urgency. I’ve mastered the art of building lunches with almost bare pantries and finding last minute presents and helping with homework that was to be done the night before but now it is 7:11 and we need to leave at 7:18 kind of days. I’ve figured out how to survive on three hours of interrupted feet in my face kids waking up sleep. I know the quickest way to Starbucks and that on certain days, like today, it is perfectly acceptable to order the extra shot of espresso and to get it extra hot and maybe with a bit more sugar. I determined that making my bed isn’t required but that the kitchen island better stay clean or it’s a green light telling everyone that the rest of the house is okay to be messed up. I’ve mastered counting to ten ten times in a row and gathering my resolve and dealing with stress and listening to music to calm me down or trying to take an extra long shower so I can have maybe four minutes of quiet without hearing mo-o-om called and dealing with one boy who decided to sneak the last chip bag and throw the wrapper in his closet behind the box of legos. The beast of laundry may still haunt me but even that has become putty in my mom hands as I know that those pants that were needed in the morning will get done even if I have to stay up to 2:30am.